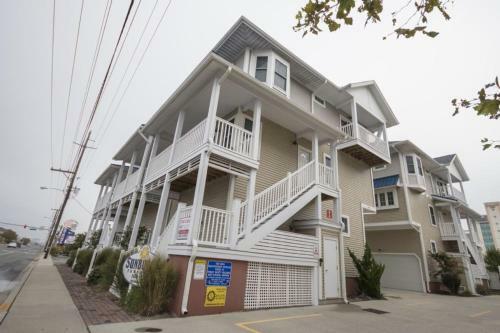 1602 Sunburst 111 Home in Ocean City is a holiday home with 1 room. Situated in Ocean City, this holiday home is 700 metres from Ocean City Boardwalk. The holiday home is 800 metres from Ocean City Harbor. A dishwasher..., an oven and a microwave can be found in the kitchen. A TV with satellite channels is offered. Jolly Roger at the Pier is 2 km from 1602 Sunburst 111 Home, while Ripley's Believe It or Not is 2 km away. The nearest airport is Salisbury-Ocean City Wicomico Regional Airport, 38 km from the property. When would you like to stay at 1602 Sunburst 111 Home?